$20K PRICE REDUCTION!!! Priced to sell quickly! Coastal waterfront home with 3 bedrooms, 2 baths and sparkling swimming pool. This home boasts many NEW features: new roof (main and flat in 2018), composite dock (2017), wrapped pilings, seawall, vinyl (wood look) flooring, irrigation, professional landscaping, kitchen appliances, A/C handler and condenser, vinyl fence, salt pool package, paint interior and exterior, screened porch, washer, dryer, ceiling fans and base molding. This home also features an open concept living space and vaulted ceilings in the kitchen. 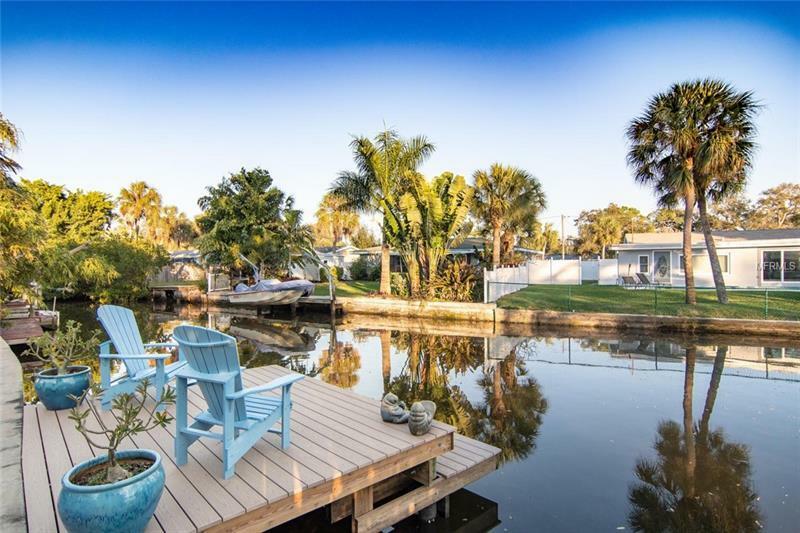 Private waterfront oasis ideal for fishing, paddle boarding, kayaking, boating and more! Large screened porch perfect for entertaining and capturing those stunning Florida sunsets. Enjoy fine shopping and dining; less than 4 miles to downtown and a short 25-30 minute commute to Tampa International Airport.